Mapped! Where should I put my startup? Lot’s of spaces here in the Seattle area. 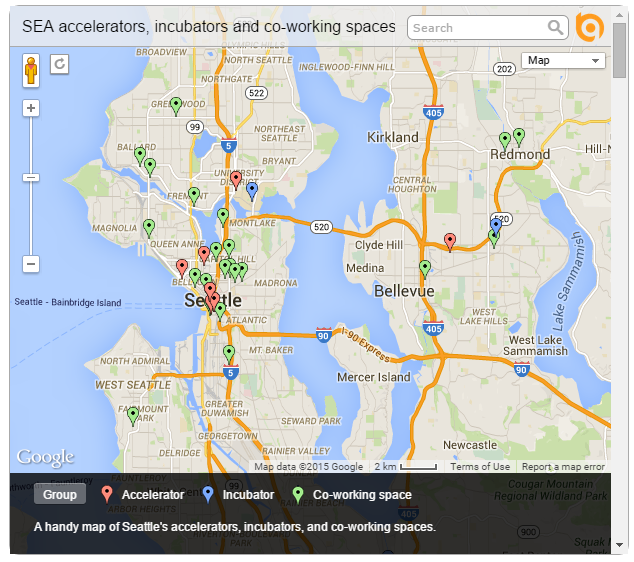 Over at Geekwire, Taylor did an article on where all the startup locations are for entrepreneurs. I’ve been wondering about co-locating but kind of disappointed that there are only a couple on the eastside. I guess on the eastside most people are comfortable working at Microsoft to take on something risky.